For some innocent souls, creativity is a gift – something that is showered upon only on special souls like Pablo Picasso, Van Goghs and Steve Jobs. But, to attain inner peace and live peacefully, one must master the skill of creativity. Yes. Every successful person has done it, so can you. With hands-on work, everyone can unleash and master their creativity. You might be thinking that creativity is not your cup of tea. You’ve read every book, watched the famous talk “does school kill creativity” by Sir Ken Robinson, but nothing worked for you in the long-haul. But have you ever wondered how these creative geniuses polished their creativity? It turns out that there are three networks in your brain. The executive attention network facilitates problem solving by allowing you to focus on the task at hand, the imagination network springs into gear during tasks that require you to reminisce past experiences, plan for the future or project yourself in different settings in the present, while the salience network is basically for making connections in your brain. 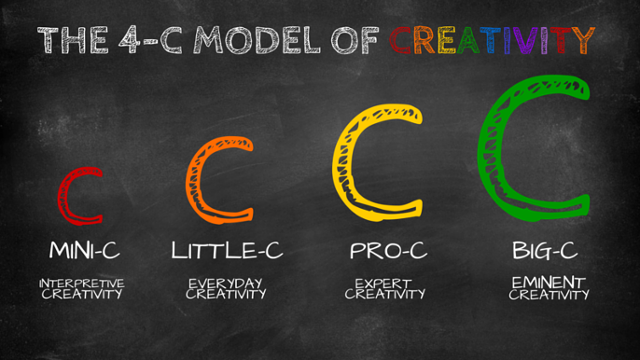 Luckily there is no one-formula-fits-all when it comes to practicing creativity. Think of it like writing. The ultimate goal is to be a better writer but there are multiple ways of getting there. You can take professional courses to hone in on your writing skills if you want to follow along in the wake of J.K Rowling; put on your thinking cap and start scribbling ideas to find your Eureka moment; or just read, read, and binge read on top-drawer writers to give your creative side a rush of dopamine! On a lighter note: “Ok Google” how do I become a big-shot writer? Every morning this man spends 45 minutes in sheer solitude, not thinking about anything, just shutting down his mind to unleash the creativity within. He takes a problem, closes his eyes and in his mind, conjures up 10 possible solutions for that problem. The result: A couple of companies and billions of dollars to his name. You might have heard about him. Richard Branson – he is kind of a big deal in the business arena. Make creativity a priority. Every day assign some time to ponder over all the problems that are bugging you. The best time to start is at the beginning of every day. When you assign a specific time for creativity, your brain will be programmed to unleash genius ideas that will help you solve nearly every impossible problem. If you wear “busy” as a badge of honor and boast over how much you can deal out on your plate, you are basically just scheduling every second of every day, without any productive results coming out of them. When you keep your brain so occupied, it cannot wander freely. What if I tell you, that you need to try inviting boredom for a change? It’s because when you are bored, day dreams kick in. The apple fell on Newton when he was probably lounging idly under the tree. Einstein presented the theory of relativity when he was bored to death. Studies have shown that boredom leads to creativity. When your mind is relaxed it goes into highly creative state. The good thing is that you can train your mind to stay in a creative state whenever you want. If you’re stuck in a project. Take a stroll through the park. Have some Coffee alone or take a quick nap and be more creative. Some people are more creative at night while other people get in the zone when they open their eyes first thing in the morning. How can you figure out your timings? The solution: Work on a project at various times of the day. If you switch the time, your brain will approach the problem with a new pathway. When you change the timing of a project, it will turn-on your salience network and allow the mind to make new connections and pathways and bring knowledge banks from unimaginable places. A recent study has shown that if you approach a problem with a fresh mind, solutions will come from unexpected ways. This is because the creative thinking that occurs in your brain engages various parts of your brain. When you give more attention and focus on a problem with a relaxed mind, a miracle is bound to happen. When in doubt, take help from nature. An entrepreneur’s mind is buzzing with activity at any time. Sometimes, we have to go back to the basics and rely on nature to unblock neural pathways and glean new inspiration. In fact, walking alone increase creative output by up to 60%—mostly because spending time outside can activate all three of the brain’s creativity networks and give a boost to your creativity. Pick a book and start reading in a park. While your mind is busy appreciating the beauty around you, your subconscious mind will come-up with a brilliant solution to your problem. If you cannot leave your office. Install an app like Nature Sounds that can give you a flavor of nature right in your office. If you’re not a fan of creativity, you can even try popping in your headphones and listening to your favorite music. Research suggests that listening to a classical piece can break the barrier and suggest a viable solution. If you heed your leisurely yearnings, good for you. But if your work is too mundane, you can try moving away from your comfort zone for a while. For instance, if you are a designer. Try doodling anything that is in front of you. If you’re a writer. Try changing the genre that you normally write in. The simplest of all is try doing the daily house chores with your weak hand. Meaning if you are a leftie, try brushing your teeth with your right. When you do something entirely different, your brain will create new connections, and this will increase your chances of coming up with brand grandiose ideas. Austin Kleon is another leading expert on how to be more creative? Study the work from both geniuses and you’ll understand that real creativity can be achieved by anyone. Oh, and if you get an idea of a website or a mobile app do talk to us. We can get your website developed in record-time.